The last couple of weeks have seen me venturing into the city a little more. I love to just catch the train, wander around the many shops and markets and enjoy exploring an all too familiar place. It is on these little spontaneous trips that I purchased most of what is featuring in this months “5 for £5” and I couldn’t be more pleased with what we have! 1. Sunglasses for me – I have probably needed some new sunglasses now for a good few weeks and finally got some a couple of weeks ago…with Spring well and truly here with more frequent sunny days, squinting was not a good look! Primark is of course my go to place for shades and these were just £2. 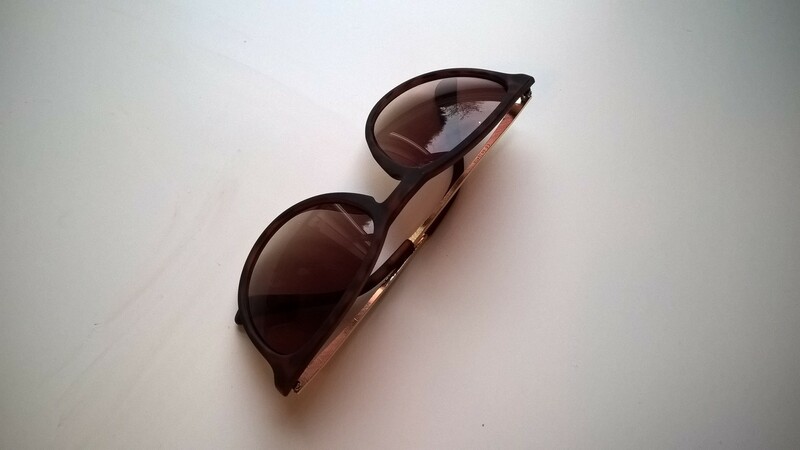 With having children that can’t not touch things, I rarely spend more than a few pounds on sunglasses as its the safer option, and I love that these are quite different from my mahoosive ones I have gone for in previous years. Love the lenses shape and love the gold arms. 2. Sunglasses for Megs – Megan likes to pose and likes to be like me and so it wasn’t long before she too saw a need for some new shades. 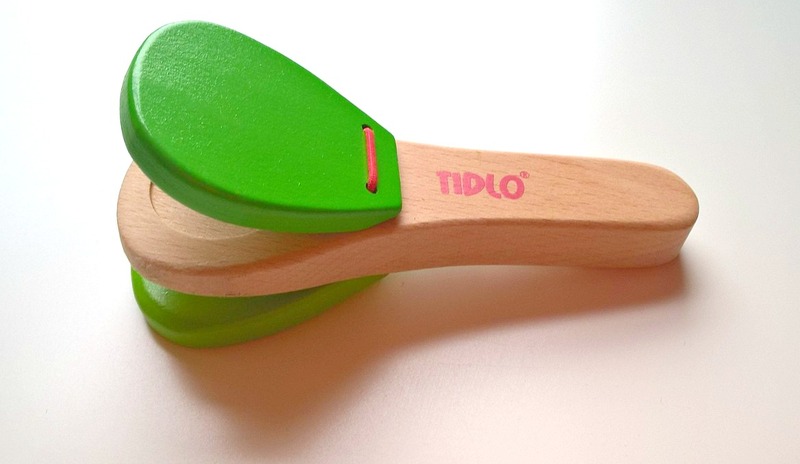 She found these in TKMaxx last week for £1.99 on one of our many city ventures. 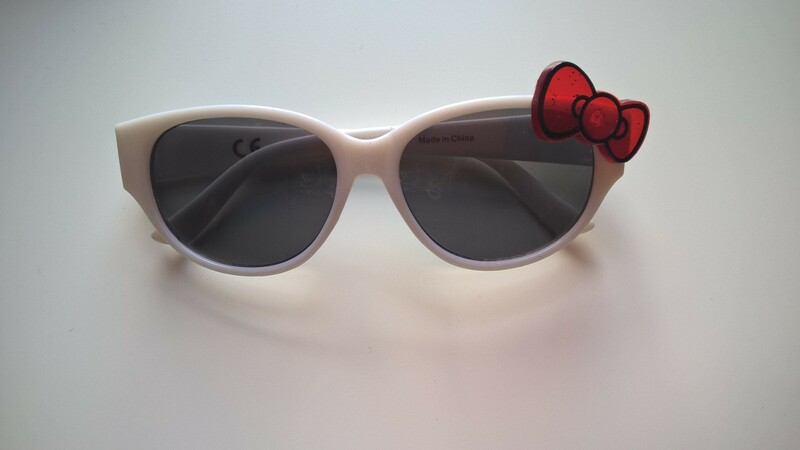 Hello Kitty white sunglasses with a bow…living the dream! 3. 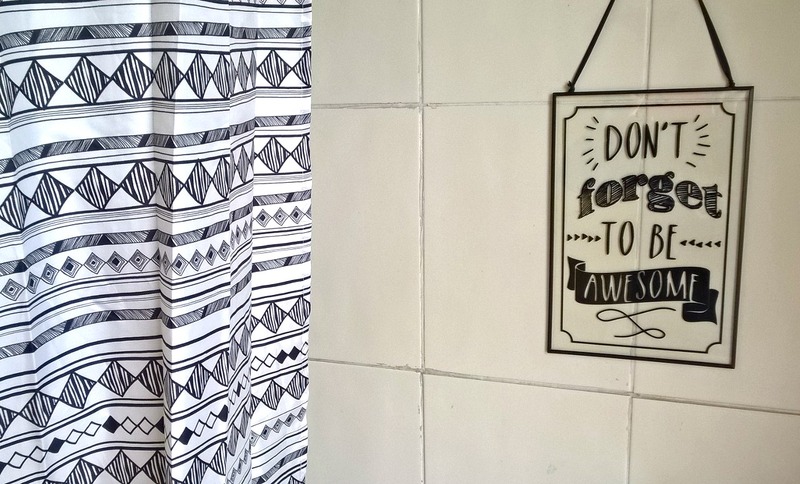 A funky sign for the bathroom – I just love everything about this and especially that it cost just £3.99 in Primark. Their home section has really stepped up and I thoroughly enjoy looking around it. It looks lovely above the sink in the bathroom with my also New primarni shower curtain (hovering on the £5 mark if you are interested but not on my featured 5). 4. 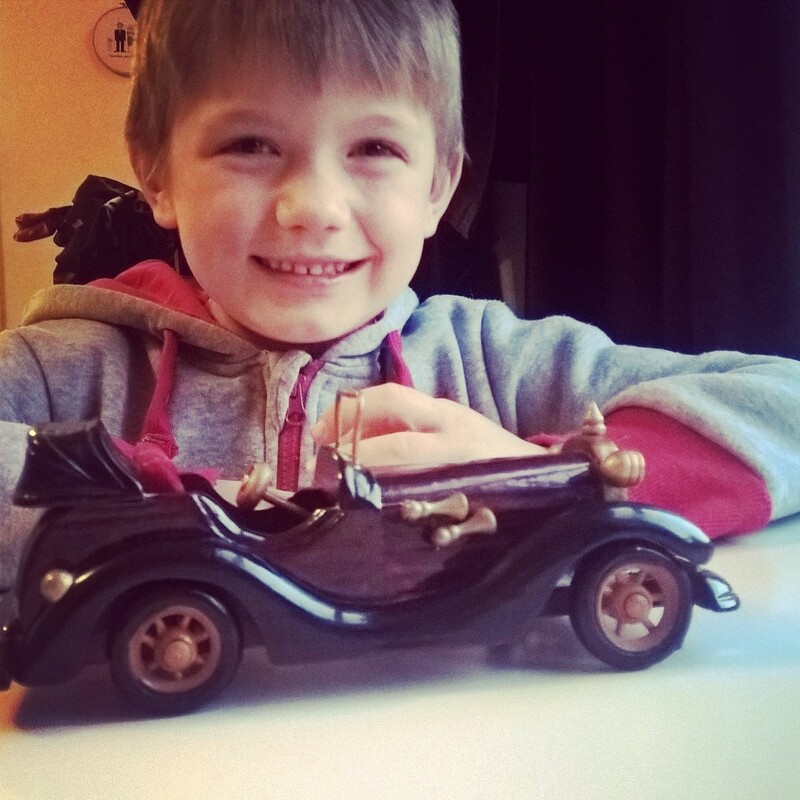 A car for E – Chitty Chitty Bang Bang obsessed Ethan spotted this car in the local charity shop last week and I couldn’t not include it. It was only £1 and has made his life! Isn’t it lovely? He loves how real it looks, that his lego men fit inside to drive it and that its so amazing. I love how enthusiastic my children are about charity shops! And that’s my loot for this month. With car boot season on the horizon I predict this is going to become increasingly more difficult but am excited none the less. Some great finds, I very rarely go into Primark it is just always too busy but I will have to pop in and find myself some bargains. 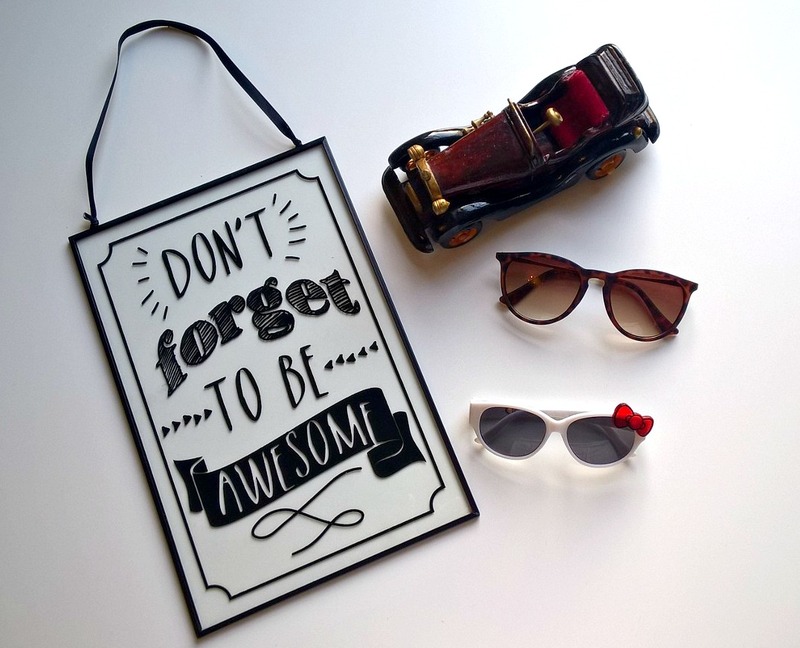 I especially love the sunglasses, I used to spend lots on sunglasses but now with kids there is just no point!! I love the sign for the bathroom. I haven’t visited Primark for some time, seems like I need to check out their homes section. Thanks for sharing. Haven’t been to Primark for a while but really love those sunglasses. Think I may take a trip this week as they are an affordable treat.